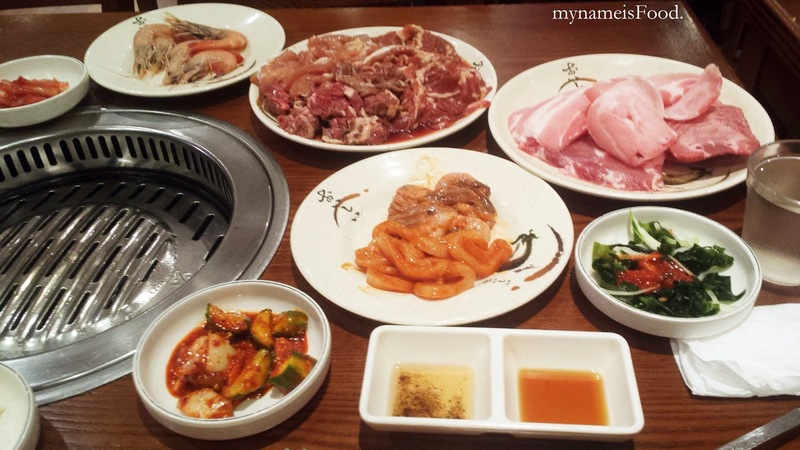 Goong Charcoal BBQ Korean restaurant, Sunnybank Hills, Brisbane - my name is Food. 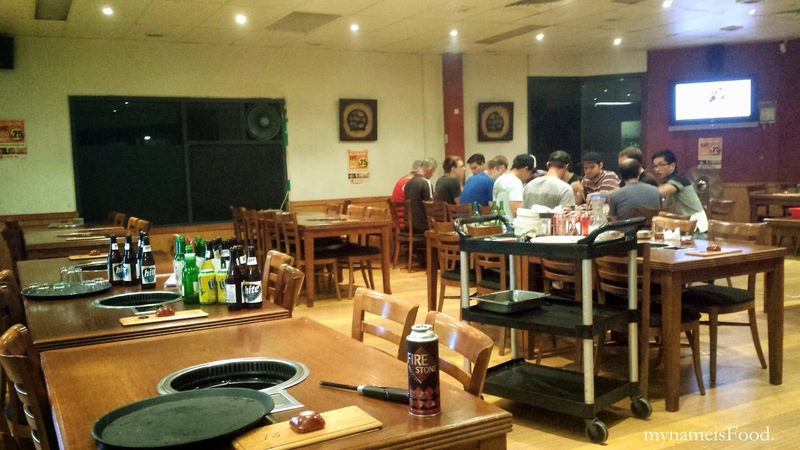 One of the many Korean BBQ places in southside is Goong Charcoal BBQ Korean Restaurant on Pinelands Road, just on the 2nd level of the asian food precinct just right next to the petrol station. Parking is a bit tight since it does get filled quite easily and since many people just don't have the right manners or do whatever they like, sometimes there are parking issues where people do end up parking in not-allowed spaces or even go on top of the grass or block doors and so on.. They were serving both a-la-carte and a $25 buffet at the time and we felt like having Korean BBQ, so we opted for the buffet. It was quite busy when we arrived but by the time we were about to leave, there was only one table with a group of people left. 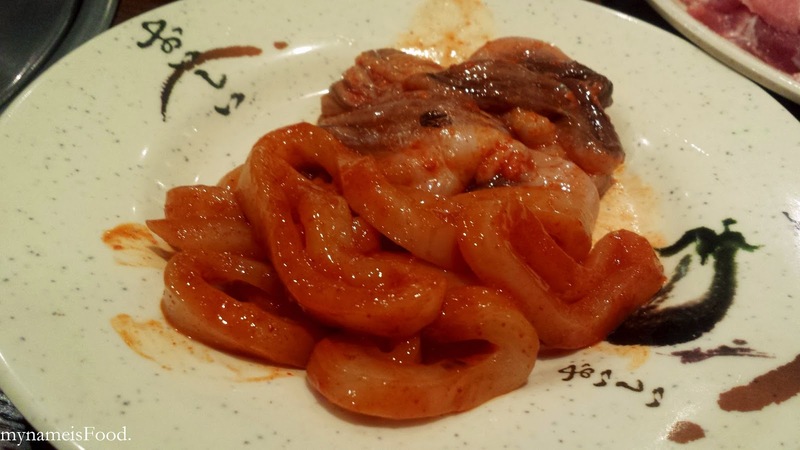 I've eaten Korean BBQ many times before, have compared one to the other, and of course, I have eaten various Korean BBQ buffets before, but this restaurant really dissapointed me in both their service, and quality of food. 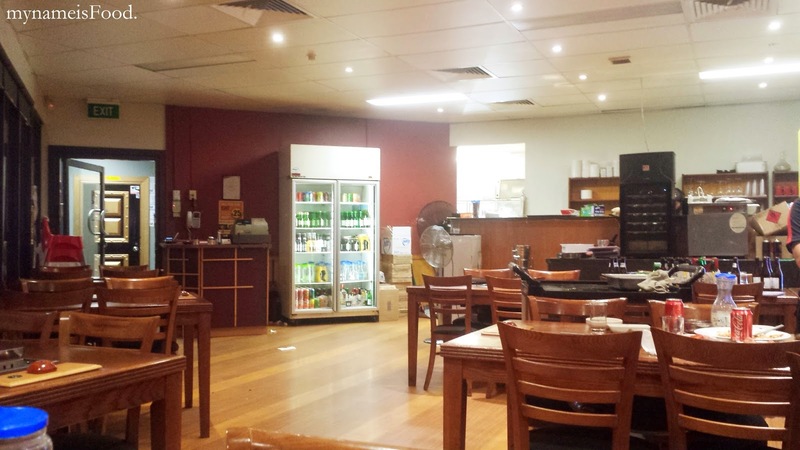 There were a few empty tables available but it took them a while to get us seated and as soon as we were seated, we got asked whether we wanted the buffet or the a-la-carte. The waiter didn't really greet us nor asked us nicely. Not long after, we were given our water and two plastic cups. We decided to try their buffet so that we could compare it to the other Korean BBQ restaurants we've been to. There was only one type of Korean BBQ buffet available and that was when the owner told us that he would give us the meat and seafood in portions and we could ask them for more if we wanted more. The meats and seafood we were given is photographed above. We were given about 3-4 side dishes which we could ask for a free refill if we wanted. These were the seafood portion which consisted some squid, octopus and unpeeled prawns which we got given at the start and the mixture of various meat which were all placed on the same plate. I don't think this was quite hygienic neither was it nice to even look at. 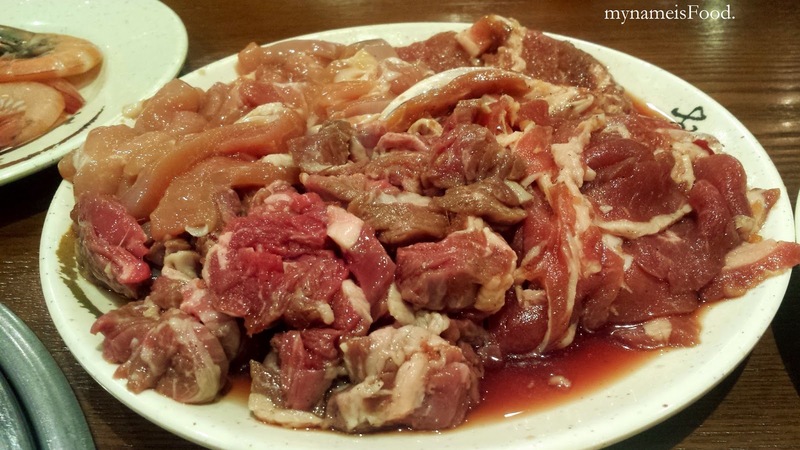 They mixed the beef, pork belly, chicken, tongue and even the marinated meat on the same plate. 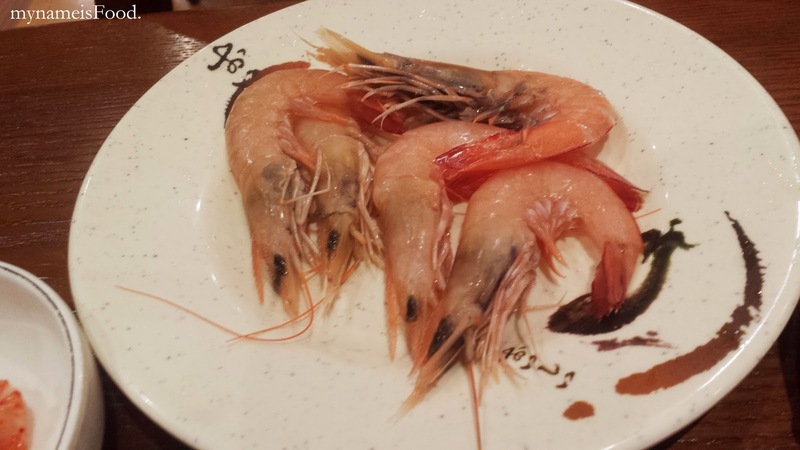 You could see the blood and liquid oozing out, and also, some of the meat was frozen having us to get them apart. We also had to ask for scissors as we only got given the tongs and chopsticks. Now, as for the waiters, they weren't that friendly. They walked past us so many times without changing our empty water, or asking if our side dishes wanted a refill, or even if we wanted to top up our meat and seafood when we were eating it nor our sauces. When the hot plate/charcoal grill was burning, they simply just looked at it or kind of just trying not to have eye contact with us to even change it. We had to press the button a few times to get their attention, even raising our hands and trying to get their attention to ask if they could change the burnt grill. Overall, the experience was dissapointing, it just reminded you of waiters that couldn't be bothered to work but just working for the sake of it, and that isn't good customer service nor does it mean that you can just treat your customers like that. I wouldn't be back anytime soon or even at all seeing the condition and the service that we got given. Even for the quality of food. I have seen higher quality meat and better service at a higher price or same price for either korean bbq itself or buffet and I would gladly and rather go somewhere else to have my Korean BBQ.